9:30 AM Sports: Qi Gong(Chi Gong) Qi Gong (Chi Gong) is a simple preventative health method of relaxing and harmonizing the body. These gentle exercises are suitable for any age and health condition. Qi Gong is a holistic system of coordinated body posture and movement, breathing, and meditation used for the purposes of health, spirituality, and martial arts training. With roots in Chinese medicine, philosophy, and martial arts, qigong is traditionally viewed as a practice to cultivate and balance qi (chi), translated as "life energy". 1:45 PM 10th Annual Nutcracker Holiday Tea Bring your little sugarplums for an unforgettable abridged performance of Tchaikovsky's "The Nutcracker," performed by the Scripps Performing Arts Academy. Pair every plié with a bite of scrumptious tea sandwiches and delicate French pastries. 3:00 PM Balboa Park December Nights Balboa Park December Nights brings families and friends together to spread holiday joy and kick-off the "most wonderful time of the year" with lights and more! Balboa Park December Nights, the nation's premier holiday festival, will take place for the 40th consecutive year on Friday, December 1 from 3:00 to 11:00 PM and Saturday, December 2 from noon to 11:00 PM. 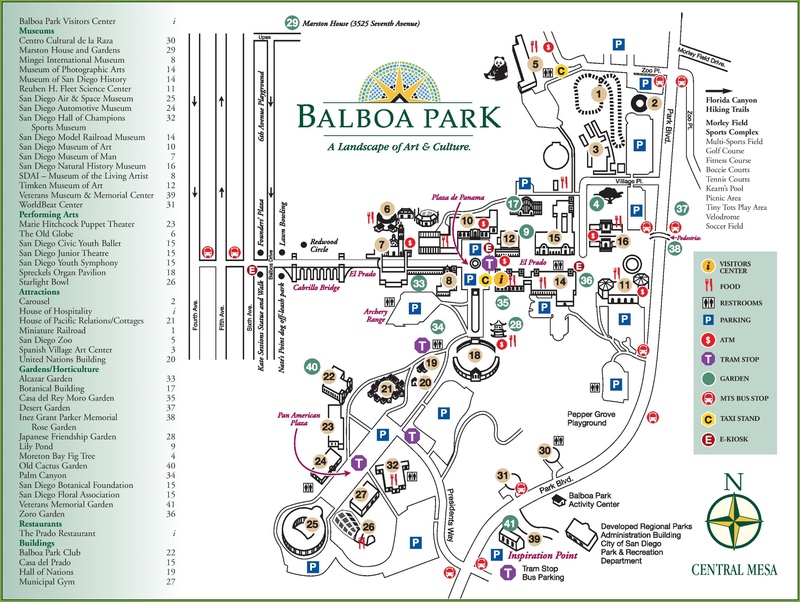 Friends, families and the community are invited to come together for festive fun, food and attractions throughout the park, including complimentary admission to Balboa Park museums from 5:00 to 9:00 PM. The largest free community festival in San Diego, December Nights is expected to attract more than 350,000 visitors to the park over two days to enjoy and revel in the season. 5:00 PM Lebanese Shoes and Craft Beer Lebanese American founder, Yasmine Idriss, is bringing a taste of Lebanon to San Diego. Solana (named after Solana Beach) travels the world and collaborates with artists to create ethically handcrafted slip-ons that tell the story of a country and its people. Solana will be touring the West Coast this December to showcase their debut Lebanon Collection, featuring designs such as "Connected," graffiti originally used to cover bullet holes in war-torn Beirut. They will be showing a short film about the spirit of Lebanon, along with their collection. 5:00 PM Chanukah Celebration Celebrate Chanukah at the annual Balboa Park December Nights! House of Israel will serve latkes and sufganiyot, and Israeli spirits in the International Spirits Garden. Besides having a ton of fun, you can support the House of Israel at our biggest fundraiser all year. Your generosity allows us to continue to reach thousands of International visitors each year and share Israel's rich history, culture, and contributions to the world. 7:00 PM All is Calm: The Christmas Truce of 1914 All is Calm: The Christmas Truce of 1914 is based on the real-life events during the Great War along the Western Front when soldiers from France, England, and Germany ventured into no man's land on Christmas Eve and Christmas Day to exchange food and gifts and perform burials. Games of football were played and most encounters ended with the singing of Christmas carols. The truce was unofficial and unsanctioned and combat resumed the next day. The opera tells the story of this testament to humanity and unity through Christmas carols and narrated letters from actual soldiers from the war in an uplifting and family-friendly production. This production is new to San Diego Opera and is a co-presentation with Bodhi Tree Concerts and SACRA/PROFANA. 7:30 PM Theater: Les Veuves Créoles, Martinique Comedy Le Théâtre Francais de San Diego State University presents the United States premiere of the 18th century Martinique comedy, Les Veuves Créoles. Presented entirely in French, with a synopsis and literary introduction translated into English. Les Veuves Créoleswas, as far as we know, the first published literary work to have been composed in Martinique, then a French colony. This three-act prose comedy was published anonymously in 1768 and, according to its foreword, had circulated in manuscript form in Martinique the previous year, where it met with a mixture of criticism and praise. The publication details are given as 'A Amsterdam, & se trouve à Paris chez Merlin Libraire'.